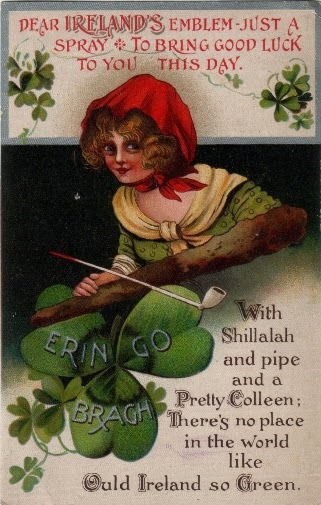 I have been scanning items from my Saint Patrick's Day collection and will be posting them for you to both enjoy but maybe find some inspiration as well. As you have found from previous posts I get inspiration from all sorts or places. 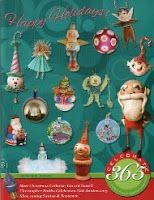 One Hallowe'en candy container that I built was inspired by a Christmas image that I have. You just never know where those ideas come from. 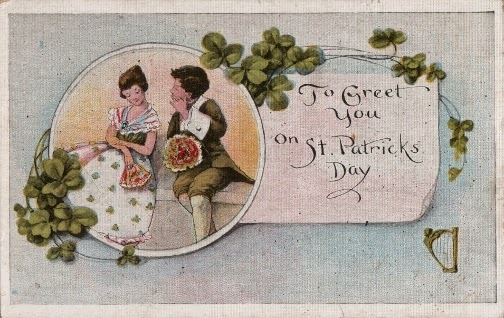 I am a romantic at heart and this is one of my favourite postcards for Saint Patrick's Day. I believe, but correct me if I am wrong, that this is the castle where the Blarney stone is located. When I was in Ireland I didn't go to see and kiss the Blarney Stone. The guide holds your legs as you lie on your back with your head and upper body over a hole in the floor of the turret walkway some hundred feet in the air just to kiss a rock! If I had known about it at the time I probably would have done it though. I would love to go back to Ireland and kiss the Blarney Stone. The country is so beautiful and the people are truly incredible. 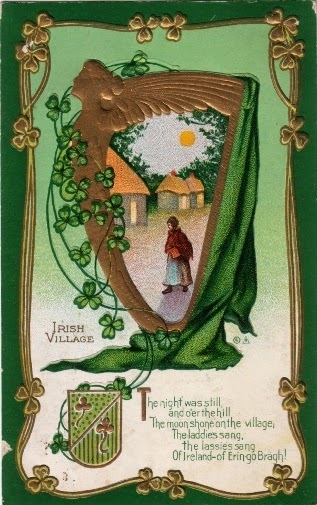 Shamrocks, a harp, and an old Irish Village are all nostalgic reminders to immigrants of their beloved homeland. A church ruin on a hill in the moonlight, Ireland is truly a beautiful country. The antique postcards were reminders of home. Saint Patrick's Day now is a reminder to drink green beer! More iconic images of Ireland; shamrocks, the tapered Irish top hat used to frame of a scene from "home", and two clay pipes. 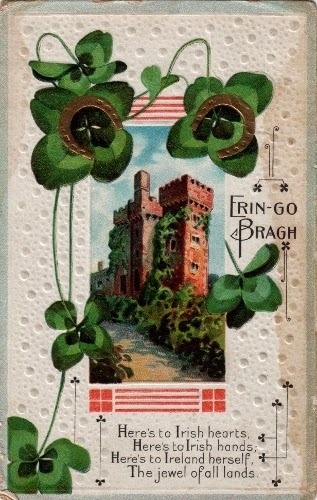 On the bottom of this postcard are the words "Erin Go Bragh" that translate from the Gaelic to mean "Ireland Forever". 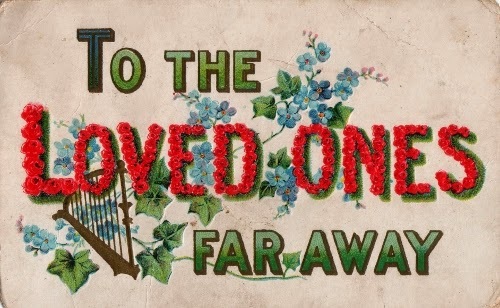 There are no shamrocks on this postcard but if you understand the language of flowers used in Victorian times then the images become very poignant; red roses are for passion, ivy means dependence and the forget-me-not stands for true love. 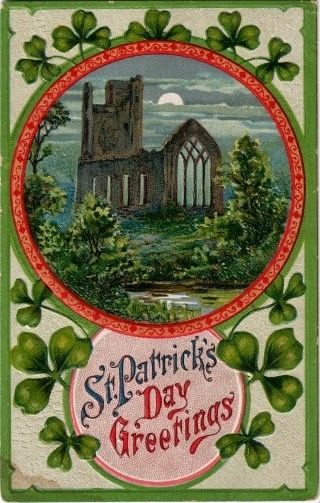 These sentiments are not only for the friends and relatives at home but also for Ireland. This is a cute postcard. 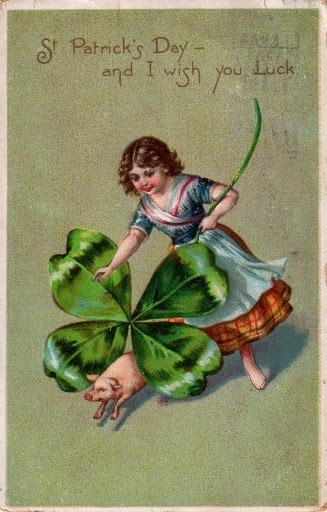 The four leaf clover is a well known sign of good luck, but that pig is a sign of good luck as well. 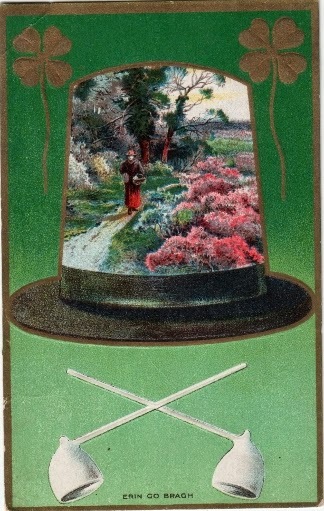 The sentiments on the postcard say it all. Dear Ireland's emblem - just a spray to bring good luck to you this day. There's no place in the world like ould Ireland so green. 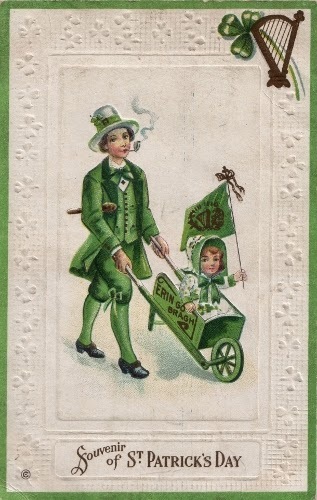 Father and daughter are dressed to the nines in their finest (green) clothes ready for the Saint Patrick's Day parade. They are all just darling. Who makes wonders such as these today? Precious! Ireland is some place I still need to go visit...lucky you!! Love these cards and thank you for sharing!